Carter Feld, La Presidente Rhonda Ledson Henderson, her husband Ben Feld, and Michelle Henderson. 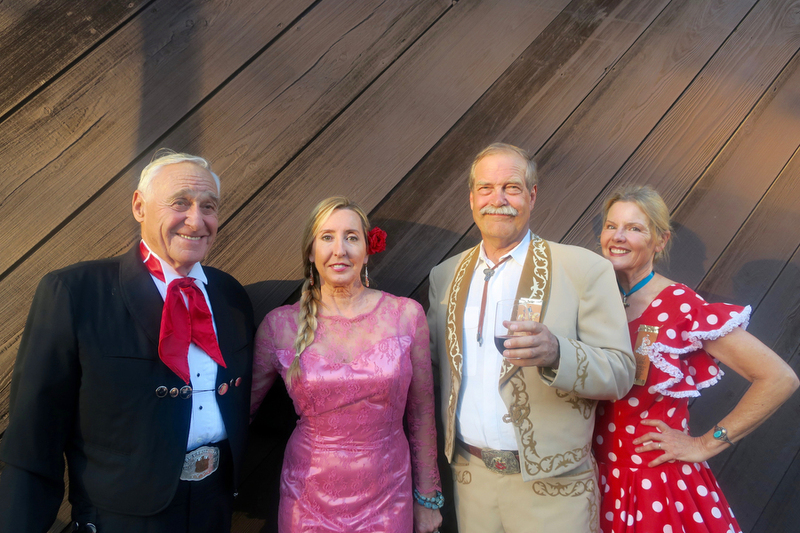 On May 20, about 350 enthusiastic guests gathered at the Carriage and Western Art Museum for La Primavera, the traditional kick-off celebration for Old Spanish Days Fiesta. 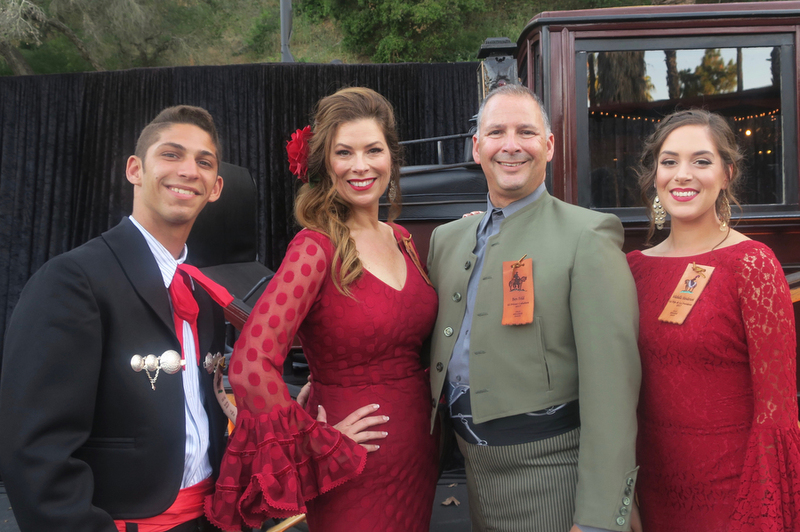 Clad in elegant Old Spanish Days dresses and suits, they mingled inside and on the scenic museum grounds encircled by vintage carriages. The program featured a mix of exciting announcements, interesting stories, and stunning dance performances. A succulent Andalusian-themed dinner featuring seafood paella was served concurrently under the stars. 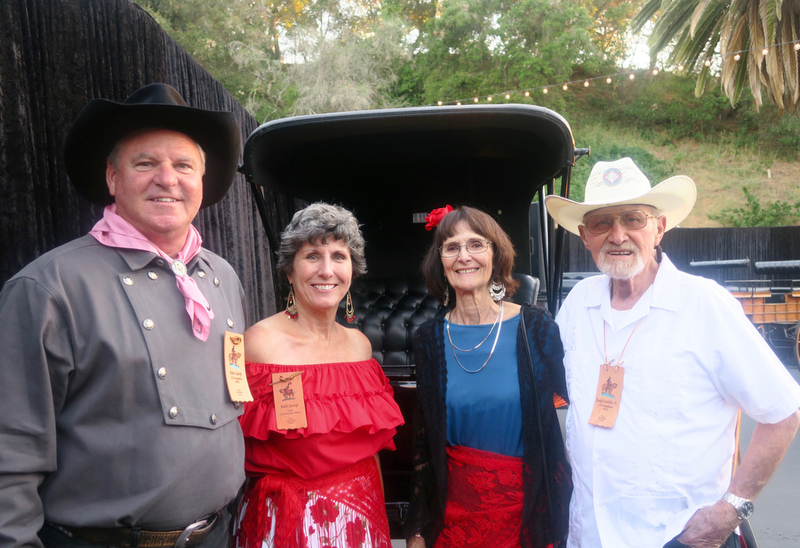 La Presidente Rhonda Henderson explained that her choice of this year’s theme, Unity through Community, was in part a tribute to late Father Virgil Cordano of the Old Mission Santa Barbara, who was an active member of the Old Spanish Days board for 45 years. “Unity through Community” was a saying of his, and one he celebrated in his life. Henderson unveiled this year’s official poster, which features the painting, “Gathering for Fiesta” by Nicholas Firfires (1919-1990) depicting a lively scene on the grounds of the Old Mission Santa Barbara and which, according to Henderson, truly is the image of this year’s theme. It is part of the private collection of John and Lauren Mullins. Henderson also unveiled the official 2017 pin, which is a pink rose with a red border designed by Jon Patrick Hyde. The choice was based on the prevalence of roses in women’s hair during Fiesta, and as a tribute to some of the hardest working volunteers of Old Spanish Days, the flower girls. Henderson is a fifth generation Californian whose family established a dairy farm on the Rancho Los Osos during the Great Rancho period. She has been in Santa Barbara since 1983, where she is a founding partner at Radius Investments. Her daughter, Michelle, a senior at San Marcos High School, has been a Flower Girl/La Senorita for the past 10 years. 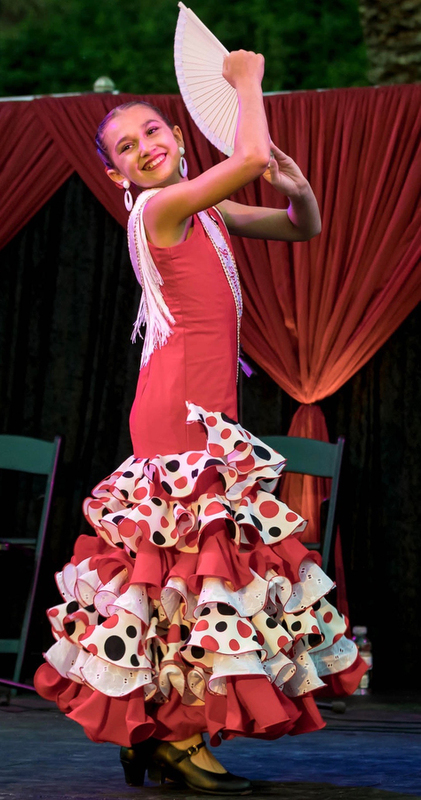 This year’s Junior Spirit of Fiesta, Eve Flores, charmed the guests with her flamenco dance performance, “Como Retumba.” Flores, age 10 and a Santa Barbara native, is in 5th grade at Hope School and has been dancing since age 4. In introducing this year’s Spirit of Fiesta, Norma Escárcega, sponsor Cox Communications Market VP Kirsten McLaughlin shared a quote from Escárcega: “This year’s theme – Unity through Community – fits perfectly with what Flamenco truly means to me: allowing the art of flamenco to transcend all barriers and bring all corners of a community together.” Escárcega then gave a stunning Flamenco performance (Cantares). She is a Santa Barbara native and is senior class vice president at San Marcos High School. In the fall, she will be going to Santa Barbara City College to pursue a career as a probation officer. 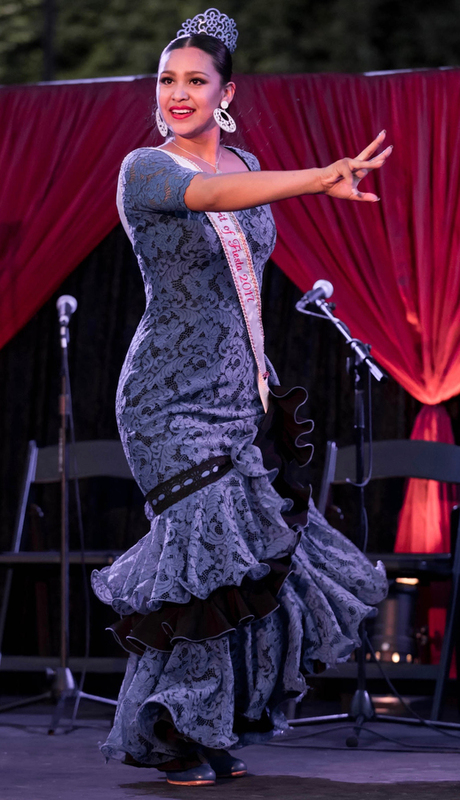 There was also an extensive, dazzling flamenco show, “Tablao de la Primavera,” choreographed and directed by Linda Vega and Daniela Zermeño. In keeping with this year’s theme, the show featured a collaboration of artists from six studios and nine former Spirits and Junior Spirits. Old Spanish Days Fiesta is one of the country’s largest regional festivals. 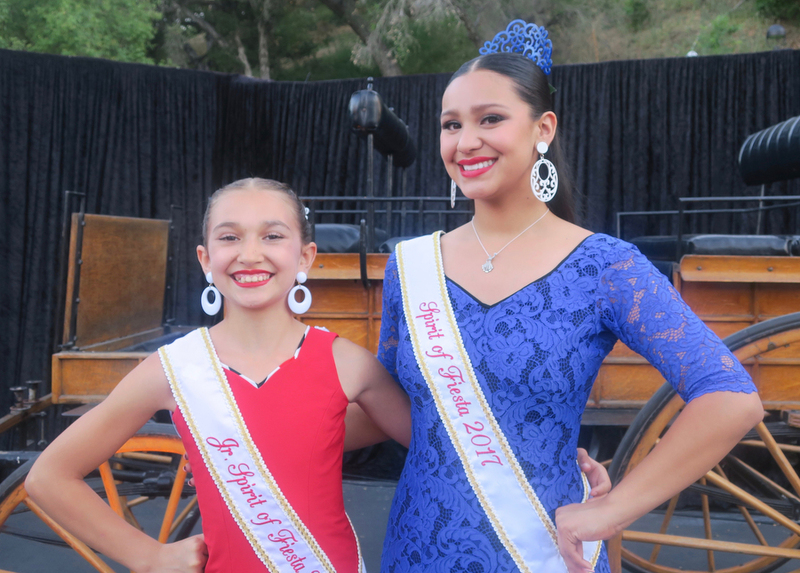 For a listing of events, go to oldspanishdays-fiesta.org. If viewing this story from a mobile device, click on “desktop site” to see more photos. Junior Spirit Eve Flores and Spirit Norma Escárcega. 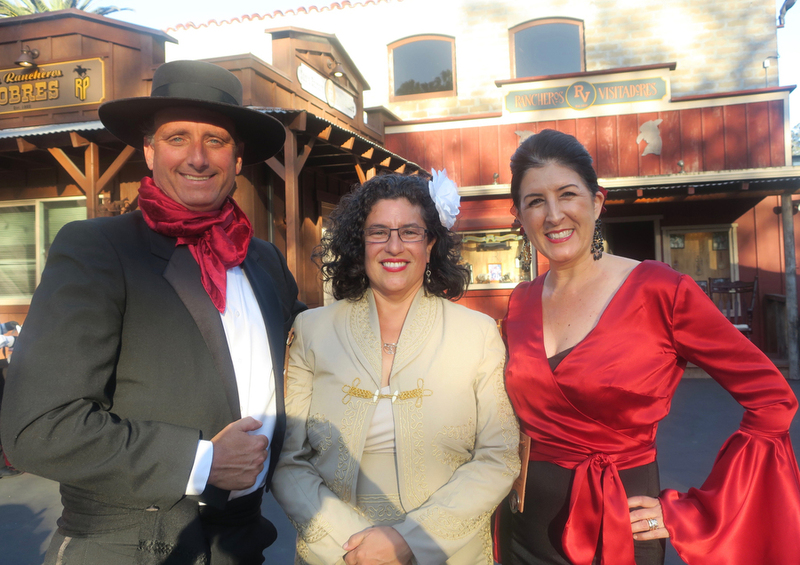 2016 El Presidente J.C. Gordon, Mayor Helene Schneider, and Jamie Gordon. 1991 El Presidente Dr. Herb Barthels, Mareva Barthels, 1999 El Presidente Scott Burns, and Lisa Burns. 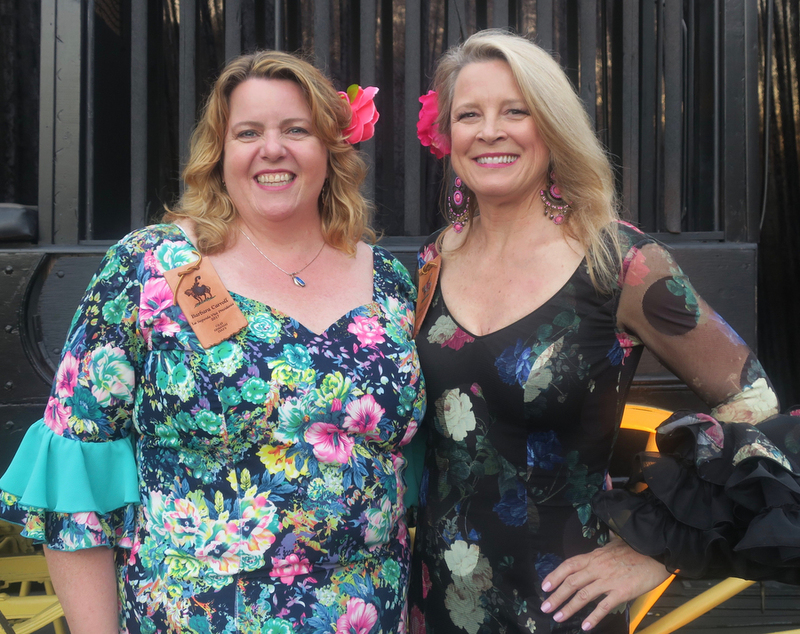 2nd Vice President Barbara Carroll and 1st Vice President Denise Sanford (next year's La Presidente). 1990 El Presidente Peter Georgi, Ruth Georgi, Brenda Castillo, and 1976 El Presidente Rudy Castillo.